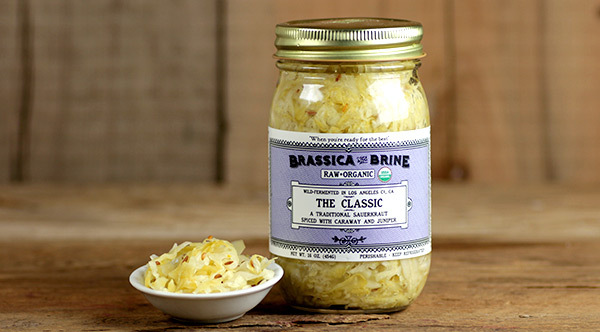 This week we’re proud to introduce Brassica and Brine! 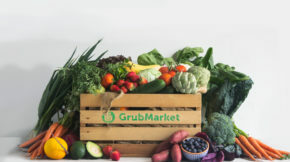 This raw vegan Los Angeles sauerkraut company has been making traditional Jewish recipes right here by founder Jordan “Uri” Laio. A Southern California native, Uri took his passion for environmental health, combined it with his family’s home recipes, and developed something truly special. Laio’s farming roots go back over a decade. Passionate about environmental security and the organic food movement, a young Uri pursued volunteer experiences on organic farms. In 2008 Uri was in Connecticut, spending his days in service of the farm: milking the goats, harvesting vegetables, and brewing biodiesel. However, fermentation caught his fancy. Any free time he found was enjoyed by studying the skills of Master Pickler Josh Rosenstein. Although he did jump around to various other organic farms over the next year, the love of fermentation had settled, and the glimmer of what would become Brassica and Brine was born. 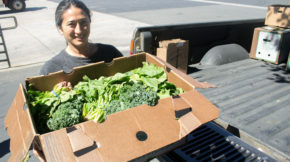 Uri selecting produce from a local farm. During his travels, while living this all-natural farm life, occasionally Laio would pop into a commercial supermarket. What he saw there was a shock. The ingredients that filled the bottles on the shelves were so far from natural, they’d become unrecognizable. Increasingly distraught by the processed and chemical ridden stuff being sold as “food” in supermarkets (especially the “diet food” targeting those who need healthy food the most), he decided then that he had a role to play in the changing food market. Try Uri’s beloved Classic recipe, on SALE this week! 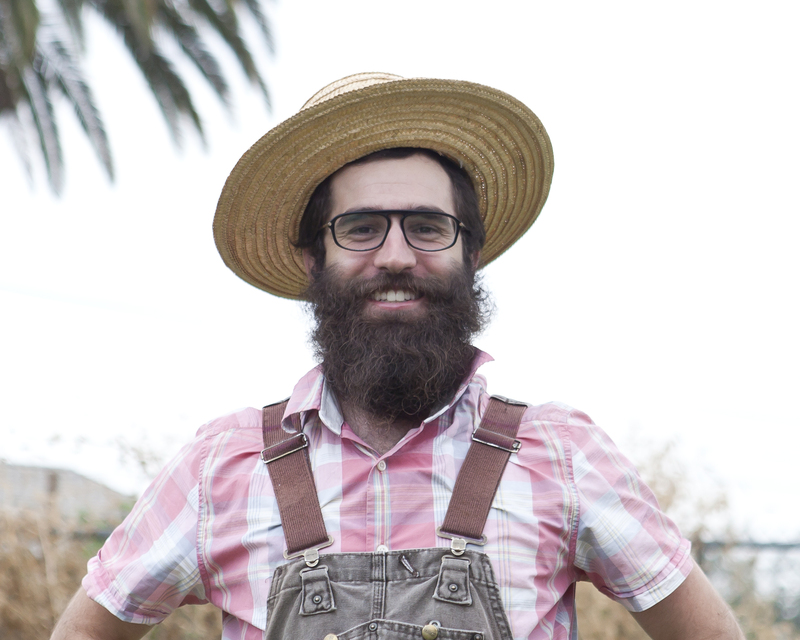 By taking the skills he learned from Josh Rosenstein he created a line of super-powered sauerkraut, kimchi, and other pickled perfections in his spare time after his days with WWOOF farms was over. He realized that he was now helping the small farmer in a whole new way, creating foods that use their produce and make people happy and healthy! 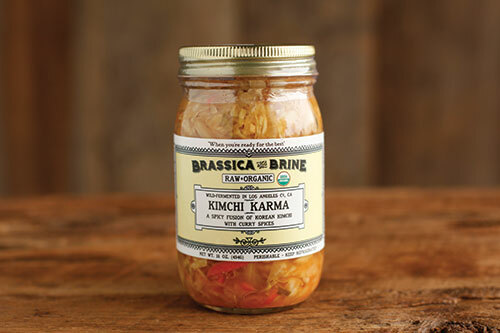 Spice up your fridge with Uri’s bold Kimchi Karma. Soon, his love for the law had given way to a passion for pickling… and after overwhelming demand from friends and family to buy his pickled products he knew something had to change.